Dew is probably one of the most poetic things anyone can imagine. It evokes childhood memories and lost days out in the sun. Dew lives up to its name: it is found on cool surfaces early in the morning– on leaves of grass, trees, plants, on window panes, and car’s wind shields. What is dew made of? 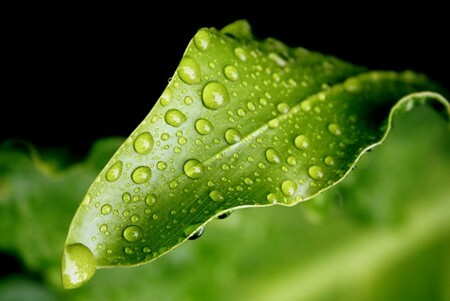 Dew is practically made of water but its water that has condensed from water vapor in the air. When air above the ground cools down, we have a fog. But for dew to form, it’s only the surface that cools down while a thin layer of air “drops” water vapors to grass, trees, leaves, and other surfaces. Dew forms when vapor is reduced to liquid in the earth’s atmosphere. This usually starts at night and goes well into early morning. The point at which vapor gives way to dew is called a dew point. Strangely enough, dew forms faster on car windows than on grass. During the day the Earth’s surface warms the atmosphere. In return the atmosphere absorbs moisture. And at night, the earth cools, along with all living things on top of it. Some things release heat at daytime and reach a considerable temperature quickly (such as soil, plants, glass, metal, and so on). But others hold heat well (cement, brick, etc) and so stay warmer than their surroundings for a longer period. As the ground cools, it cools the air above it. The air then becomes saturated (meaning it cannot hold its current load of vapor) and condenses that moisture into cooler objects. Objects that tend to hold heat, such as brick and concrete, rarely collect dew, because by the time they cool enough to collect dew, most of the moisture has already condensed. This is what happens out there. Even on cloudy nights, clouds push the heat of the ground back, so dew is formed except in high places where the heat fizzles out. In that case dew is different from rain in that dew is formed on the ground and not up in the clouds. On colder nights, dew gets denser and may even turn into frost. Another way of looking at dew formation is by looking at a cold can of soda. You know that the can has cold soda inside and a warm temperature outside. When the two meet, the air caught up in the middle cools down resulting in water molecules in the air to bind with one another. When they condense, they form water droplets on any surface nearby. Even in the world’s driest places such as the Sub Saharan region, there is an observable dew formation every time. 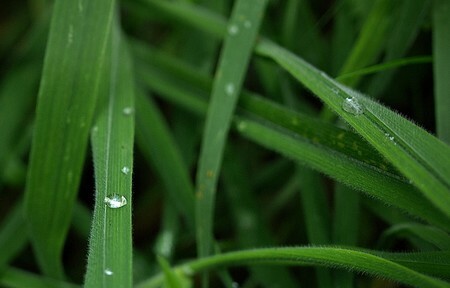 In places where there’s virtually no rain fall all year round, dew serves its place. It’s weird, but dew can be denser than rainfall in these areas. So desert plants and animals thrive on dew day in day out. Dew forms in extremely hot places when the soil’s surface temperature drops below the so-called dew point. If not that, then there’s the attendant water vapor absorption as back up. Dew has such a cooling effect that popular drinks have been named after it. Just the mere thought of it cools you down.